Preparation of the bamboos has begun. 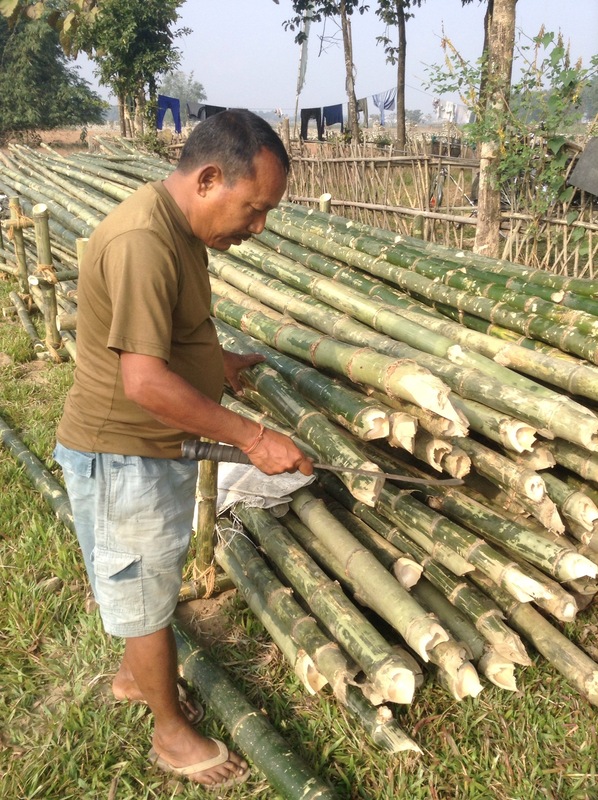 There are three jobs to do on the bamboo before we put them in the treatment pool. – make holes in them, either through the middle or small ones in the side so that the treatment water can get to the centre of them. – cut off all the excess branch stumps. – clean them so that the treatment water stays clean and so it is more effective.